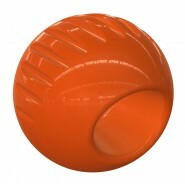 The Beco Ball is suitable for all breeds of dog. 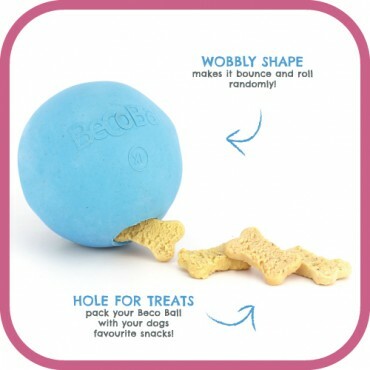 Made from natural rubber and rice husk fibers, the Beco Ball is non-toxic, so you can rest assured that your dog won’t be chewing on any nasty chemicals. Natural rubber is also really strong so the Beco Ball and other rubber Beco Toys are much tougher than most toys on the market. It’s vanilla scented, and has a hole in it which is ideal for putting treats in, but also means it whistles when it’s thrown through the air. 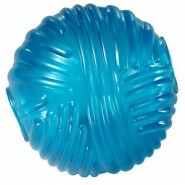 The wobbly shape of the Beco Ball also means it will bounce and roll randomly making the toy more fun and interactive! 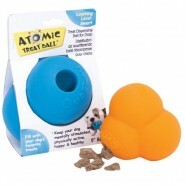 Beco Pets is one of Britain’s biggest manufacture and designers of eco-friendly pet products. They pride themselves on making affordable, non-toxic toys and accessories. Wherever possible Beco products are made from natural, renewable and recycled materials. By using sustainable sources, and working ethically with their suppliers, Beco Pets aim to make products that are better for your pets and better for the environment.